For the average driver, thoroughly understanding how each system in their car works is an unreasonable task. While you may not understand that exact mechanics behind each part of your car, it does help to have a general understanding of what each system is for and how to maintain everything in good shape. When it comes to a vehicle's transmission, knowing the basics and understanding what to look out for can be enough to keep your car running well. If you don't know much (or anything) about your car's transmission, this post can help. If you have no idea what your transmission does or why it even exists, you're not alone. To put it simply, this system is in charge of sending the right amount of power from your engine to your driveshaft. It ensures that your tires get the right amount of power for the speed that you're traveling at. When you shift gears, whether in an automatic car or standard car, your transmission ensures that this shift is possible and smooth. Shifting gears in your car is similar to how a bike shifts gears using its chain. Just like in a bike, the different parts involved in this process must be in good working condition in order for things to work smoothly. Unfortunately, a transmission issue will be much more complicated in a car than on a bike, which is why it's so important that you do your best to keep up with vehicle maintenance. If there is an issue, the following signs are some to look out for. It's not normal for a car to hesitate to get into gear or to refuse to do so altogether. If you're shifting from park to drive, this shouldn't take a while to take effect. In fact, this shift should be smooth and quick. If this isn't the case and your car is experiencing a delay while shifting in these lower gears, you should get your transmission checked out by a professional. A leak is the most obvious sign that there is a problem somewhere in your car. If your transmission fluid is leaking, you'll notice either drops or a puddle of red, clear fluid that smells somewhat sweet under your car. You may just need to get this leak fixed before you lose too much of your transmission fluid. If the fluid you find pooling under your car looks like transmission fluid but smells burnt, you're better off flushing this fluid and replacing it with a brand new bottle. If your transmission has spun a leak and you need some new transmission fluid, AMSOIL has your back! Check out their Signature Series Fuel-Efficient Synthetic Automatic Transmission Fluid for the best transmission protection. While you're at it, why not get some synthetic oil for your next synthetic oil change in Williston? Contact the oil experts at Advanced Filtration Technologies, Inc at (701) 572- 3780 for more product recommendations and the personalized service you're after. A shaking car that is also jerking and making grinding sounds needs to be inspected. Along with the shaking and grinding sounds, you may notice that it takes a bit for your car to wiggle into gear. All of these signs point to a problem with the transmission. 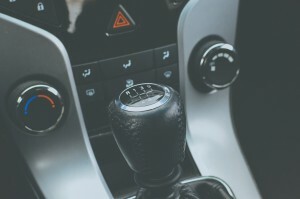 If you notice an issue in the lower gears, shifting further can result in more jarring shaking and jerking that will definitely get your attention. Don't let any more damage affect your transmission, and instead take your car into the shop for an inspection. Your check engine light can indicate any number of issues that need some attention. With that said, this indicator light will light up if there are issues with your transmission system. Since the transmission has a sensor that detects jerking and other vibrations before you experience them, your check engine light may be alerting you about these vibrations while they're still a minor issue. Do get your car checked out when you notice the check engine light has turned on. If there is a problem with your transmission, your mechanic will find it and take care of it before it has a chance to turn into something more serious. Another area of your car that will need to be taken care of is your engine. Give it the best protection with a synthetic oil change in Williston, ND. Contact Advanced Filtration Technologies, Inc. at (701) 572- 3780 to learn more about their products.